Welcome, I’m Jean Maurie. When I was in my 20s I had panic attacks and I thought there was something horribly wrong with me. I didn't know what was wrong until I read about it in a Good Housekeeping magazine. I learned it was called agoraphobia - afraid to go to meetings, afraid to stand in lines, eat in restaurants, go to movies and more. My life was ruled by panic attacks and anxieties. My world shrunk and here I was married with a baby to care for. I prayed, used affirmations and positive thinking and they all worked to a degree. But what I was doing was covering up childhood traumas with "positive thinking". I founded the Agoraphobics Anonymous group in Palm Beach County, Florida in the 70s and facilitated it for a year. It was one of the scariest things I ever did. I've been through hypnosis, biofeedback, primal scream therapy, counseling and more. Everything helped to a degree. Each step I took got me further and further out feeling less afraid. My angels and guides helped tremendously. Then I discovered EFT, Emotional Freedom Technique - tapping. Using this I was able to release most of my anxieties and my world opened up. I learned to love myself unconditionally and stopped trying to push down my feelings. I look forward to teaching you how to tap so you can release blocks and anxieties you have about creating the life you desire. I finally began to love myself instead of beating myself up for not being "normal" like what I thought everyone else was. Come to find out that we all feel vulnerable, afraid to speak our truths and try to cover up our fears and insecurities. When I learned this, it helped change my life. Let me tell you, if I can, so can you. I had a friend who was an astrologer and he pointed out in my chart where panic and anxiety showed up. I was so fascinated that I started studying astrology, which led to learning the Tarot cards. I am a perpetual student and the more I learn the more it helps me in my life and gives me more tools to help others. You’ve been guided here by your angels and guides because I have guidance from them to help you. They want you to know how wonderful you are. I bet that surprises you doesn’t it? You may be thinking why me? You probably think there are so many people out there who are living their life dreams so why can’t you do it? I’m here to say that you can achieve your dreams and live the kind of life you want. You deserve to be prosperous. The Universe is abundant and it loves you and wants you to be prosperous too. I bet you didn’t know you had a life purpose did you? You may have been feeling empty like “what am I here for?” That is your life purpose nudging you to be all that you can be and more. I can help you. I’ve been doing readings for 30 years and have extensive tools for your readings. I combine astrology, love and destiny cards, tarot cards, guidance from the angels – yours and mine, channeling and life coaching. My Scorpio moon intuition combined with my Taurus sun enables me to give deep readings with down to earth practicality. I can also help you release things from your past that hold you back with a wonderful technique called EFT (Emotional Freedom Technique). I can teach you how to use it for yourself to release daily stress, traumas and old hurts. I am a tapping coach mentored by Rick Wilkes of Thriving Now. So I offer Tapping sessions now to help you with stress, anxiety or if you are stuck and don't know how to create the life you want. I can help you get back your life’s joy and satisfaction by giving you something to look forward to again! There is always hope. Being a very curious person I’m always studying to learn more. 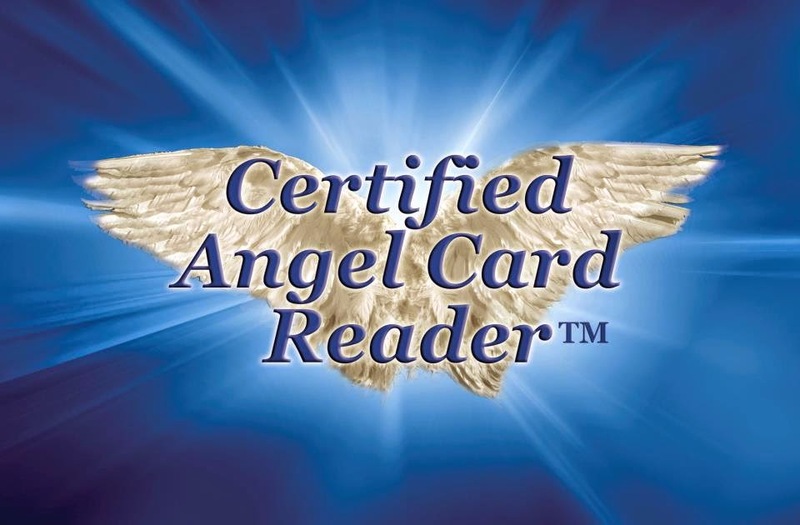 I recently completed two angel card reading classes with Doreen Virtue and Radleigh Valentine and am certified as an angel card reader. You can email me at jeanmaurie@angelsloveyou.com if you have any questions about my readings. The readings and coaching I provide is intended to educate, inform, amuse, and inspire you on your personal journey towards creating the life you want. It is clearly not intended to replace a one-on-one relationship with a qualified health care or legal professional and is definitely not intended as medical or legal advice, diagnosis, or treatment. If you are under the care of any health professionals (or should be), we strongly encourage you to discuss modifications in your diet, lifestyle, exercise program, nutrition, or use of Energy Tapping (EFT) with them prior to making any changes, and never discontinue or reduce prescription medications without consulting your doctor or pharmacist.